Cost to build a tennis court varies greatly by region (and even by zip code). Get free estimates from playground & sports venue service providers in your city. Cost to build a tennis court varies greatly by region (and even by zip code). Get free estimates from playground & sports venue service providers in your city. The average cost of building a tennis court is $65,000. 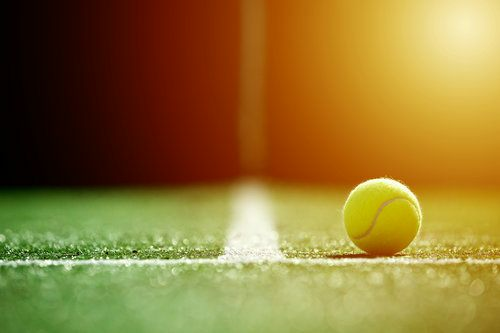 Tennis enthusiasts who find themselves playing at least a few times a week may want their own court installed in their backyard. Having a personal court provides you unlimited access to play the game, and lets you customize the experience by choosing the surface, fencing, net, and potential shelter or shade. 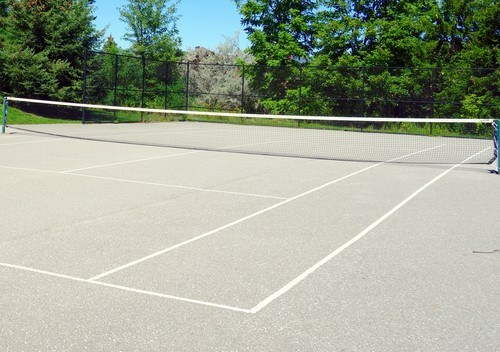 The average single tennis court made of concrete with a resilient surface costs around $65,000 on average. Installing a tennis court is not for everyone. They take up a large amount of space in your yard, require frequent maintenance, and are expensive to install and maintain. However, those drawbacks are often negated for those who truly enjoy the game and play on a regular basis. Having your own court allows you to choose the material you practice on. It also lets you play more regularly without needing to pay club fees or be subjected to wait times or courts that need repair. For players who use the court at least three days a week, these pros usually outweigh any cons. However, for more casual players, the amount of space and upkeep required may not be worth the expense and time. Even a single court takes up a significant amount of space. Because there is a risk of the ball being hit off the court, most tennis court installations include extra space around the court itself. For a single court, you must have at least 120 feet by 60 feet. This means that you need a minimum of 7,200 square feet of space, with the court itself taking up only about 2,106 square feet. Typically, homes with less than 1½ acres of land will not have the space required to install a tennis court. 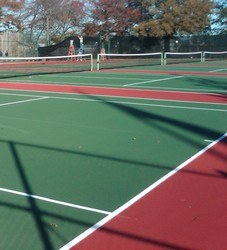 Tennis courts can be surfaced in many different ways. The type of surface you choose has a large impact on many different factors, including cost, long-term maintenance, speed of the ball or play, and even comfort underfoot. Some people prefer one surface over another for gameplay, while others want surfaces that last longer with little care. In addition to the type of material you use for the surface of your court, you also have choices for what type of net to use. Nets vary in quality and material based on how often they are used, how long the playing season is, and the climate. Nets are usually made of a braided material such as polyester or polyethylene 2. These materials withstand the UV rays of the sun and to hold up to most weather. In terms of durability, nets come in single or double braids. Double-braided nets are reinforced and meant to withstand significantly more impact and use. If you play regularly and hit with force, a double-braided net will last longer. Single-braided nets are better for casual use. A single-braided net costs around $200, while a double-braided net runs about $500. In addition to these costs, you also need anchors and post sets to install the net, totaling around $400. 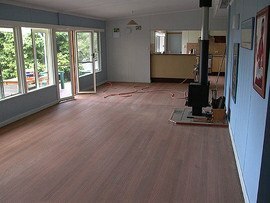 Much of the cost of installing a tennis court is in the preparation. The ground must be completely level to facilitate gameplay. They also must be adequately drained because any standing moisture could cause problems with the court down the road. For this reason, before installing your court, prep work must be done to the ground and surrounding area. It will be completely cleared, leveled 3, and then built up to the desired height. If necessary, a drainage system will be installed. Sometimes sand 4 or backfill may be necessary to achieve the most level playing surface. The installation of the court itself varies depending on the surface material you choose. Once the ground is leveled and prepared, your surface material is installed. For a concrete or hard court, this involves pouring the concrete, leveling it, and letting it cure for 30 to 60 days before the acrylic top surface is applied, smoothed, and left to cure for additional days. Then, the lines can be painted, net posts sunk, fencing installed around the perimeter of the court, and any landscaping done between the court and fencing. 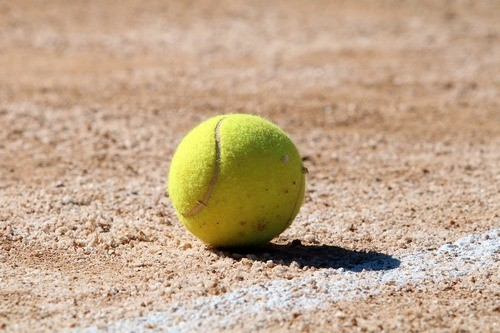 Because balls go astray, it is important that the ground around the court itself also be smooth and level to allow players to chase balls safely. If desired, a shelter or shaded area can be installed for viewers. The labor portion of the court install is the largest portion of the cost. This varies tremendously, however, depending on the condition of your land. Excavating, leveling, installing necessary drains, backfilling, and smoothing before the surface is installed accounts for as much as half of the cost of the project. The labor for applying a resilient coating, installing the fence, and completing any necessary landscaping for a concrete court can account for around $30,000 to $35,000. Grass: Grass courts have the most maintenance. The grass must be kept very short and be healthy and free of weeds. This means frequent watering, mowing, and treating. Clay: Clay courts are not quite as high maintenance as grass, but the clay shifts frequently, which means it needs to be raked or brushed back into place. In high winds, the clay may be blown off entirely, resulting in new clay being added each year. Acrylic: Acrylic courts are fairly low maintenance. Beyond keeping them swept and clean, they require very little upkeep. 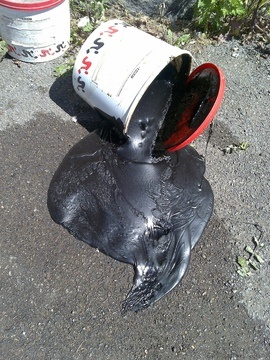 Asphalt: Asphalt courts require resurfacing every few years. They crack easily, and those cracks can grow quickly, especially in cold climates. They may also develop “bird baths” where the court sinks slightly in places, creating a puddle of water. Concrete: Concrete courts are fairly low maintenance as well. They require occasional resurfacing but do not crack as frequently or as badly as asphalt. So, they require surface applications less often. The court itself is only one part of the entire project. There are many other components to consider. Fencing is one of the most important parts of the project and accounts for around $5,000 to $10,000 of the cost. This price varies depending on the type of fence you choose. Choices include wood, vinyl 5, chainlink, and decorative metal fencing. The fence should be high enough to contain stray balls. 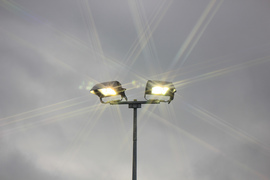 If you plan to use your court in the evening or nighttime hours, you need floodlights 6 installed as well. LED floods are popular because they do not need to have a wide reach since tennis courts are fairly contained areas. Each floodlight will cost around $150 to $300, plus installation at around $65 to $85 per hour. Expect 2 to 3 hours of install time per light. Not every backyard tennis court requires seating, but if you think your court will get a lot of use, you may want to include it in your costs. Seating can be a few simple benches or elaborate stadium-style seating. In either case, budget $70 an hour for a carpenter. The number of hours varies from 4 to 6 for simple benches up to several days for something more elaborate. For more serious players who use their court regularly, a court organizer can come in handy. Court organizers hook onto one end of your net pole and hold things like extra balls and scorecards. They cost around $150 each. Scorekeepers provide a quick look at the game tally from anywhere on the court. 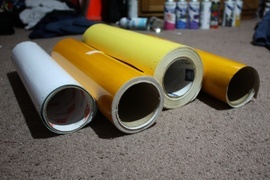 They can be simple or elaborate and cost anywhere from $30 to $300. If you have a clay court or live in an area where high winds can interrupt gameplay, you may want to consider a windscreen. These fabric screens line your fence and help block the wind as well as provide privacy. They cost between $100 and $400 depending on the size. If you have an existing court, the costs of resurfacing are far less than installing a new court. While a new court costs around $60,000, resurfacing can cost less than $10,000. In many cases, the cost is less than $5,000 depending on the amount of work that needs to be done. In northern areas above the 37th parallel mark, it is recommended that you orient your court in a north-south configuration to get the best sun angle in the mid to late afternoon in the summer months. Below the 37th parallel, it is possible to play year round, so orientation is not as important. It is generally accepted, however, that a north-south orientation is best considering that the sun travels east-west. Tennis courts may enhance the value of your home, but they also take up a large amount of yard space. This can backfire, depending on the potential buyer, who may want that space for something else. 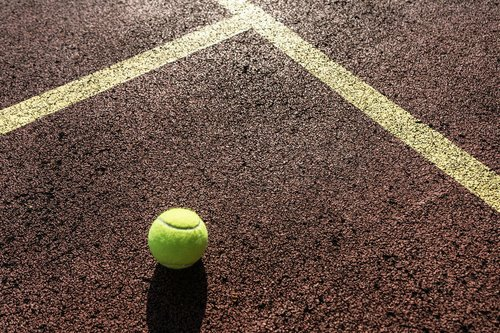 In most areas, you need a permit before starting a tennis court installation. Check with your local town or city hall to find out more before you begin. Is planning permission required for a tennis court? Planning permission for large structures like tennis courts is usually done on a town-by-town basis. Some areas may require it, while others do not. How much does it cost to maintain a tennis court? 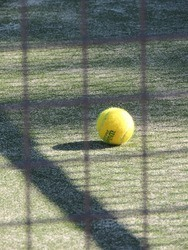 Average yearly maintenance costs are estimated at around $1,800 for most courts, but grass courts could be much higher. How much does it cost to build a clay tennis court? The cost of a clay tennis court depends on many things, including size, material, and the condition of your yard. Most, however, start around $45,000 and may go as high as $100,000. How many square feet do you need to build a tennis court? You will need a minimum of 7,200 square feet to build a single tennis court. How much does it cost to install a tennis court? The average cost of an asphalt tennis court is around $65,000 including fencing, netting, and installation. How much does resurfacing a tennis court cost? Resurfacing a tennis court costs between $5,000 and $10,000 on average, depending on the current condition of the court and the materials used. 3 Leveled: The process of evening out the ground's surface, making it either flat or sloped. How much does it cost to build a tennis court in my city? Cost to build a tennis court varies greatly by region (and even by zip code). To get free estimates from local contractors, please indicate yours. A resilient, pliable, synthetic resin made by polymerizing ethylene and primarily used for containers, packaging, corrosion-resistant piping, and insulation. Cost Considerations: Piping made out of polyethylene is generally very cost effective. A large, artificial light used to provide broad, uniform light to outdoor areas. Cost Considerations: The average cost of floodlights is $75 to $150 each. If wiring is needed, it will add an average of $200 per fixture.